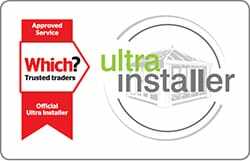 We install solid conservatory roofs across Dunfermline, Edinburgh, Stirling, Perth, Dundee, Fife, Glasgow, Rosyth and surrounding areas. The Livinroof is the most configurable solid conservatory roof on the current market, allowing you to enjoy outstanding flexibility to get the perfect fit for your home. 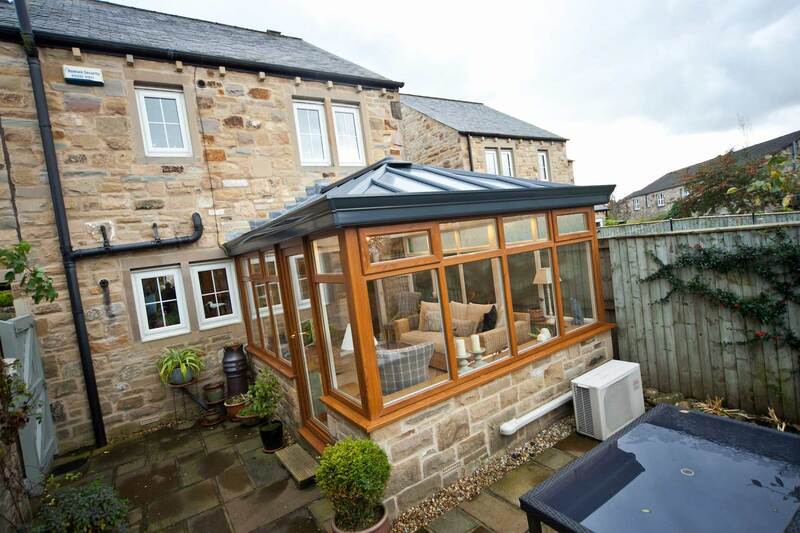 It’s the perfect solution for replacing an old, existing conservatory roof, keeping you comfortable all year round. To achieve industry leading standards of performance, the Livinroof system is constructed from insulated composite external panels and Kingspan insulation boards. Not only does this make the roof inherently strong and robust, it also makes it thermally efficient and lightweight. We know that being in a room that is bright and spacious can really benefit your mood, which is why the Livinroof is such a fantastic addition to your home. You’ll be able to choose the shape and style of your glazing, as well as the placement, giving you control over how much light is coming in. For a stunning interior, this solid conservatory roof comprises a magnificent vaulted ceiling. This feature perfectly complements the large glazing panels, giving you a space of comfort and grandeur on the inside. It’s never been easier to enjoy better standards in your home. The Livinroof solid conservatory roof does not feature any cold bridging, allowing to operate as an efficient warm roof system. This roof makes use of thermally broken rafters, as well as modern manufacturing techniques, to increase the overall heat retention properties of your home. With this, you could even find yourself saving money on your heating bills! To help you to bring a personal touch to your home, the Livinroof offers more glazing options that any other solid conservatory roof on the market. With this mind, not only will you be able to choose the shape and style of the glazing, you’ll be able to enjoy a bespoke layout too. Whether you’re looking to focus on a specific area, or want it spread out, we can help. The Livinroof solid conservatory roof can be installed in a choice of shapes, which includes Georgian, Victorian, P-Shape, Lean-To and Gable. It is also the only solid roof that is suitable for low pitched lean-tos, which means you can really bring something unique to your property. There is no reason to settle for anything less than the right roof for your home. The Livinroof solid conservatory roof is structurally designed for the wind and snow loads for your postcode. To protect you from extreme weather further, these roofs are also wind tested to withstand hurricane winds up to 130mph. You’ll be able to relax in your home with complete peace of mind, no matter what the elements bring. To meet modern demands, the Livinroof has been fire tested as a fully assembled system. Unlike other roofs on the market, these roofs have undergone stringent, independent fire testing. To demonstrate this, this roof is fire rated as B-roof according to EN 13501-5: 2016. You can rest assured that you are installing something safe into your home. To ensure product longevity, allowing our Livinroof solid conservatory roof to bring lasting value, we accompany the installation with a comprehensive 10 year guarantee. Although highly unlikely, we’ll be on hand to solve any problems should they occur. You’ll be able to enjoy the benefits of this roof for many years to come, enjoying the peace of mind that comes with better quality. We’re always working to minimise the disruption to your daily life, which is why the Livinroof is a fantastic solution. This roof, especially when compared to other solid roofs on the market, is quick to install due to its prefabricated design. Further to this, it will minimise mess as it won’t require any onsite cutting. You’ll be able to enjoy exceptional standards, sooner. To keep you warm and to help control the feel of your room, all of our Livinroof solid conservatory roofs can be accompanied with an internal insulated pelmet. This runs along the inside perimeter of your roof, combining an insulated cavity and the ability to house lighting and speaker options to bring something fantastic to your room. With this feature, you’ll be able to control the feel of your living area for whatever you are using it for. Offering a stunning look both inside and out, the Livinroof is fitted with a decorative cornice on the exterior of the roofline. This serves to hide the guttering, helping the outside of your roof to look crisp and clean. We can also offer a choice of colouring to ensure you get a look that complements your tastes and home, all of which are applied with a lasting finish to ensure their longevity. Get in touch with us via our online quoting engine to get a free, instant and highly competitive solid conservatory roof price. You can also get in touch with us via our online contact form should you have any questions regarding our products or prices, or you can come and visit our Fife showroom to see how they look up front. A member of our friendly team will be more than happy to show you around.